This may be one of the easiest, most affordable costumes I have ever made. The only thing I needed to make were the tights (which could also be ordered if you plan ahead of time) and everything else I had in my closet already. Lets start off with how I made the striped tights. I picked up yellow tights from American Apparel (they were on sale for $7). 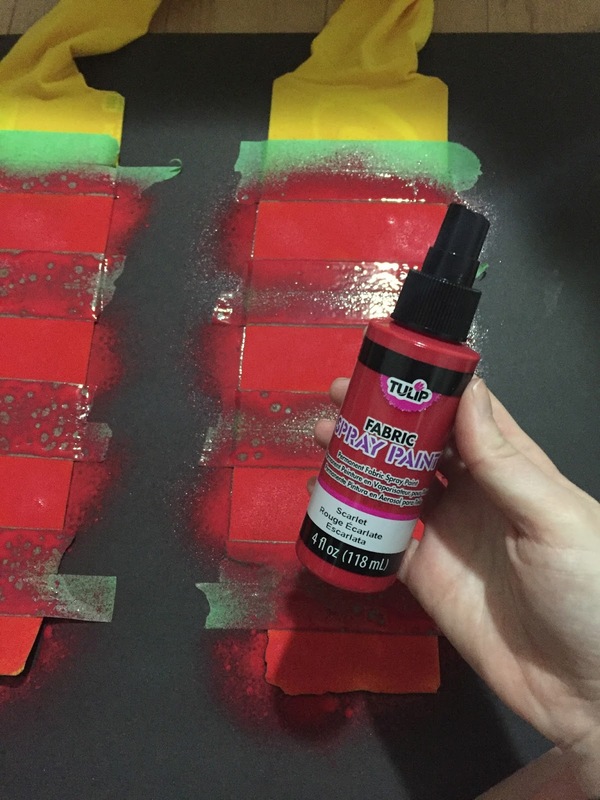 I bought some red spray fabric paint from Michael's and painters tape I had around the house. 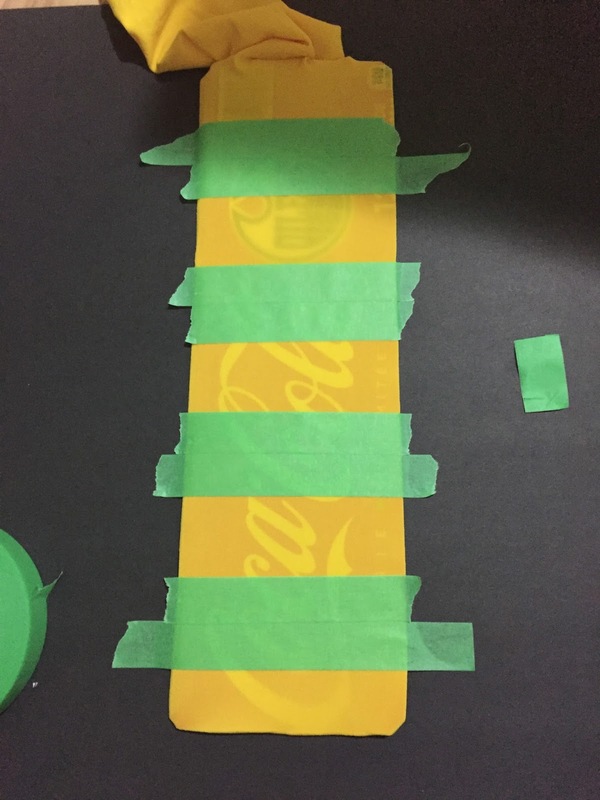 You'll need some cardboard to fit into the tights so that the colour doesn't bleed through to the other side and also allows for some stretch once the tights are painted. Put the cardboard into the tights and tape out the stripes you want. 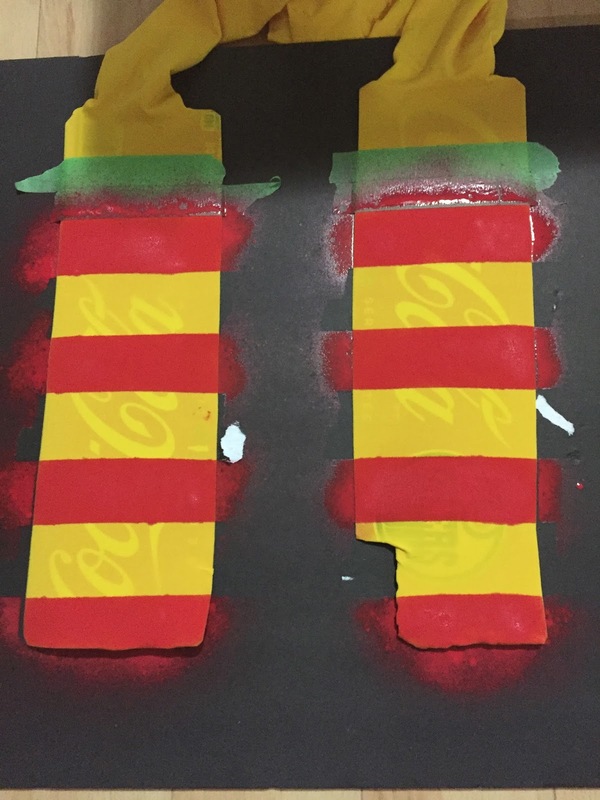 I used double thickness in tape to keep it as even as possible for a thick striped pattern like Spinelli has. Spray with the paint. I did one side at a time, let it dry (which takes awhile so be warned) and then flipped them over to spray the other side. Once they're done you're ready to go. Throw on your black combat boots, red dress and leather jacket. Put in some big, volumized pigtails and a yellow hat and you're ready to go! My hat is from Target (but I'd check men's section at Forever, H&M, etc. ), leather jacket and dress from Forever 21 and boots are from DSW I believe.